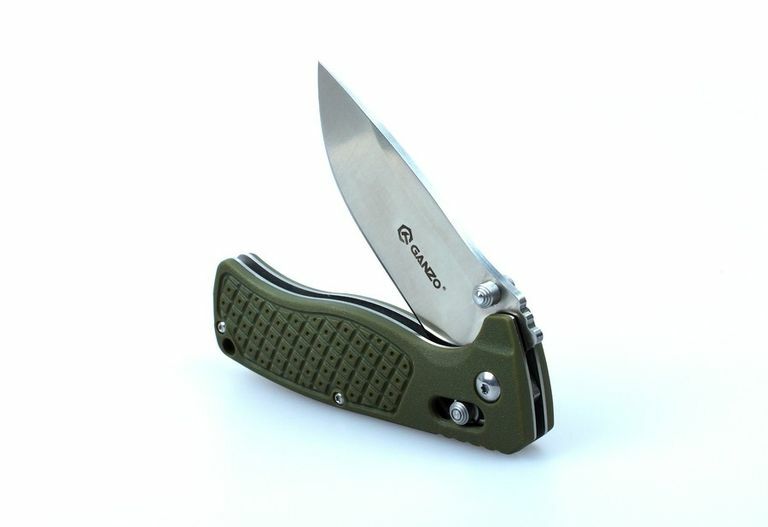 Ganzo 724M foldable knife is very convenient to use travelling out of the city. In the folded position the knife size is only 11 cm. At the same time, within a moment Ganzo 724M is transformed into a ready-to-use knife with the blade length of 8 cm. It is very easy to cut food for cooking on the fire. A wide blade with the spine thickness of 0.3 cm is massive enough to cut not very thick sticks or to prepare fire spears. 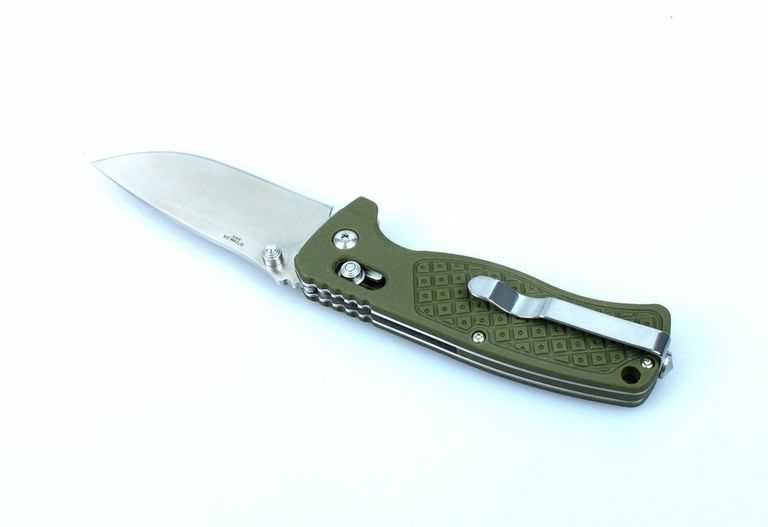 The blade material is 440C steel which is widely spread in the knife industry. This type of steel is perfect for everyday use and tourist models. It is effective rust resistant, it is not getting blunt for a long period of time. The metal hardness is estimated at 58 units of Rockwell scale. 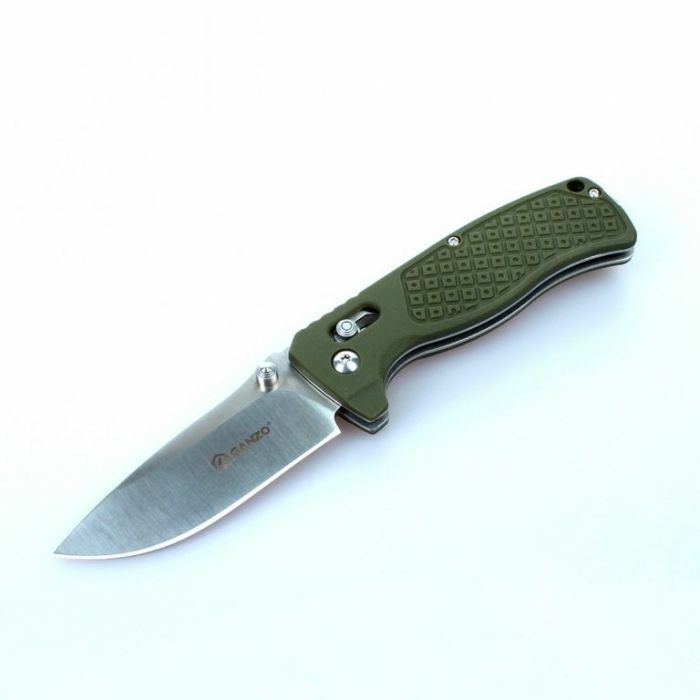 The knife handle in this model has straps from fiber-glass reinforced nylon. Their surface is decorated with textured design that also has a practical application by strengthening the contact between the knife handle and the skin when it is gripped. Thus, the knife will not slip even out of wet hands. A small stainless clip is also on the handle. With it help the knife is fixed on the backpack strap or on the waist belt to be always available. The same action can be performed using the lanyard for which the hole is made at the end of the handle.